Jan Elster has been a consultant and trainer in the animal care world for over 30 years. 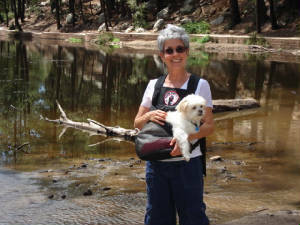 With a background working with nonprofit organizations, Jan took her knowledge of "people skills" and translated it to the realities of animal protection and rescue. She has helped many sheltering organizations' staff, management, boards and volunteers to improve their effectiveness, to develop enhanced leadership skills, to design and implement strategic plans and to deal with any kind of customer imaginable. 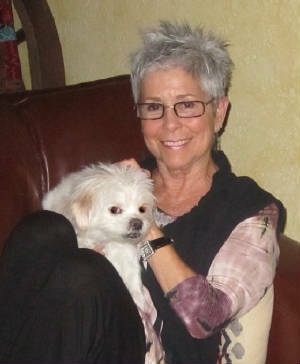 Jan prepared for translating her work from non-profits to animal welfare by volunteering in shelters. She immersed herself in shelter life from walking dogs and cleaning kennels to attending obedience classes and offering innumerable workshops. 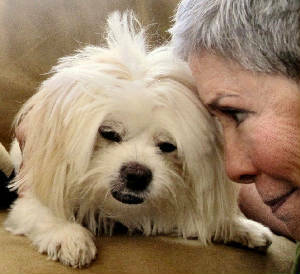 For her work with shelters and rescue groups, she was awarded American Humane Association's Lifetime Achievement Award for "her long-standing reputation and the tremendous contributions she has made to groups that work with animals." Jan lives in Tucson, Arizona with Lola, a special needs dog alumni of the Humane Society of Southern Arizona, Scout, a 32-year old re-homed desert tortoise and four rescue desert box turtles named Pearl, Yolanda, Opal and Ivan who roam in and out of the house, bask in the desert sun, and hibernate in the cacti garden. 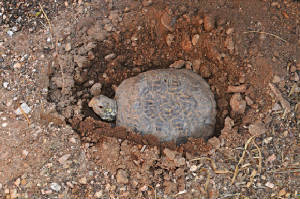 Rescue tortoise, Scout, lives in Jan's front yard.